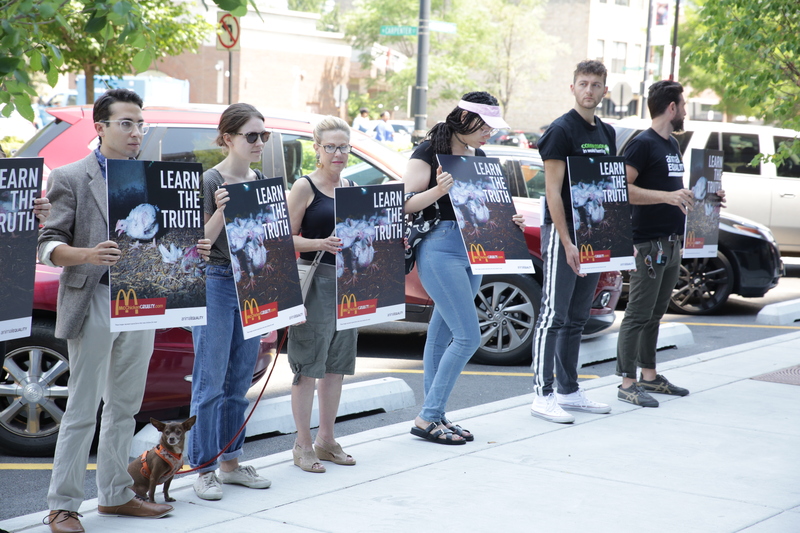 As a Public Engagement Intern, I focused on marketing research, content creation, influencer and podcast outreach, and social media for Compassion USA’s new “Eat Plants. For a Change” campaign. Through the distribution of weekly resources, we encourage consumers to give farmed animals a day off by eating more plants. I was also heavily involved in the organization and planning of an important campaign demonstration. 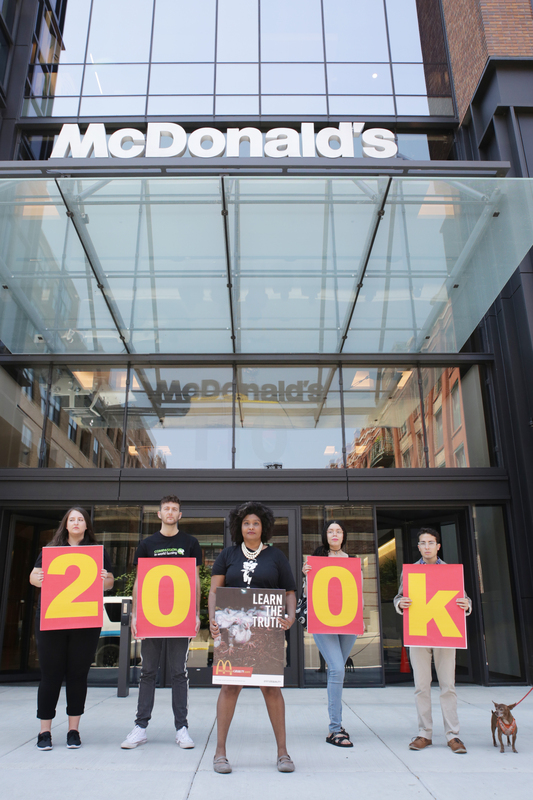 I traveled to Chicago to corporate McDonald’s headquarters to hold a peaceful protest and drop off more than 200,000 signatures of consumers who want McDonald’s to make a meaningful commitment to chicken welfare. 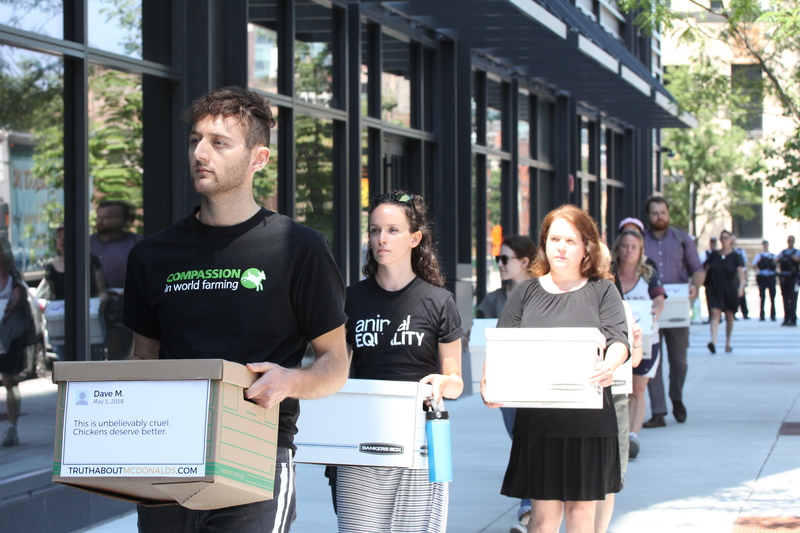 If you would have told me a few years ago that I would be working with a farmed animal welfare group on a plant-based eating campaign, I wouldn’t have believed you. 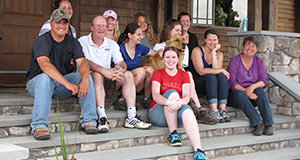 Up until my final year of college, I thought I was going to go to vet school. But now I can’t imagine myself helping animals in any other way. 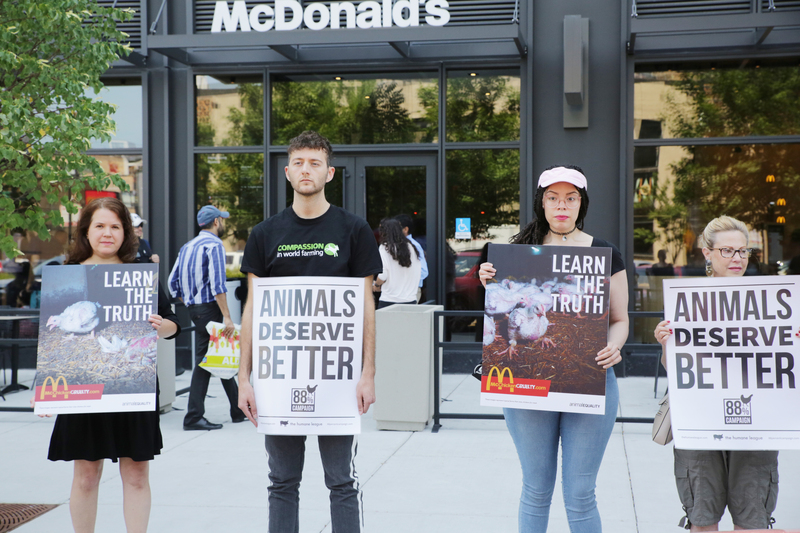 MAPP student, Tyler Hazard is with Compassion in World Farming, and a few other animal protection groups came together to hand-deliver more than 200,000 petition signatures asking McDonald's to do better for chickens.